This DC/AC Static Shipboard Inverter unit creates a sine wave reference derived from a dc input. 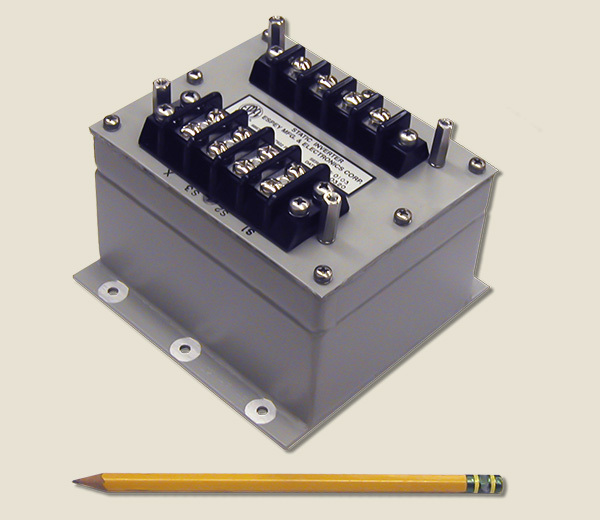 It functions as an inverter for a synchro-resolver used aboard naval ships to track the position of radar antennas. This unit operates in harsh Electromagnetic and Radio Frequency environments of local radar transmitter antennas as well as up to 2” of standing water. This Shipboard Inverter operates through multi-megawatt radar pulse exposure. Operates in up to 2 inches of standing water. Operates in harsh Electromagnetic and Radio frequency environment of local radar transmitter antennas. Operates through multi-megawatt radar pulse exposure.